CALIFORNIA - CIRCA 2018 - Aerial of a tree trimmer cutting palm tree fronds on a southern california hillside. 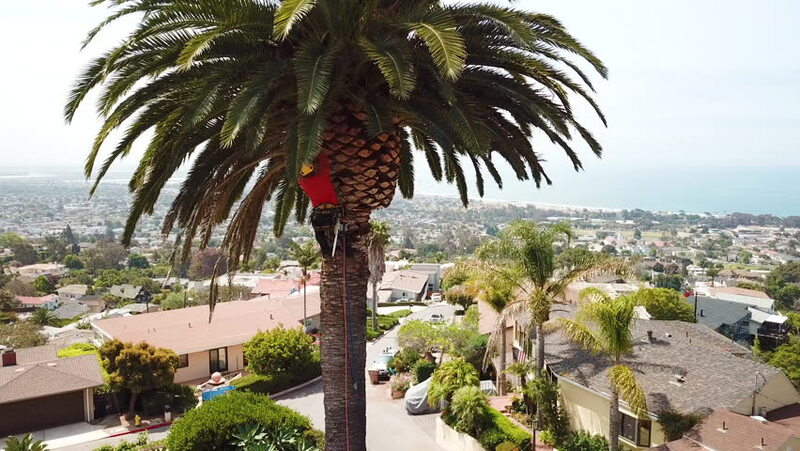 4k00:37CALIFORNIA - CIRCA 2018 - Aerial of a tree trimmer cutting palm tree fronds on a southern california hillside. hd00:31St Augustine city, Florida, USA - palms, building, USA flag.